This Place of Worship was founded in 1918, and we understand it is still open. 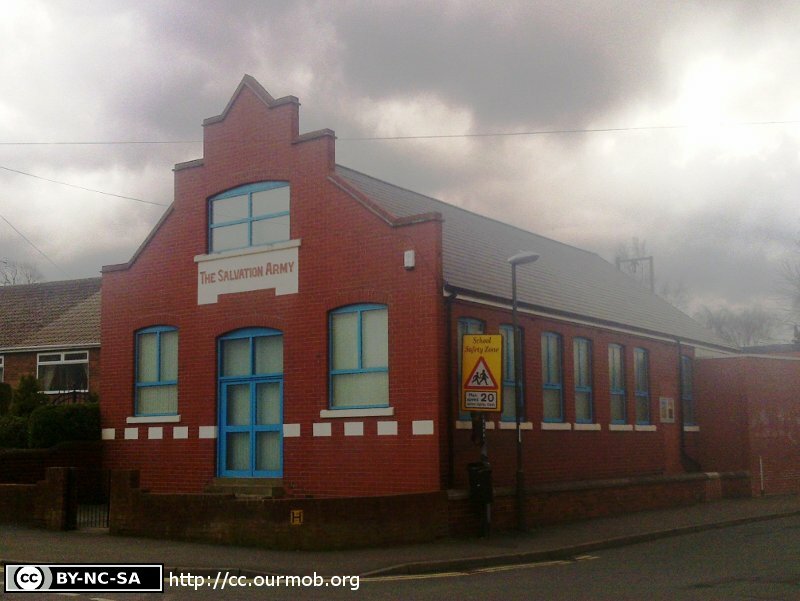 Clowne Salvation Army Corps is situated on the south-east corner of the junction of Church Street and Ringer Lane. My source [David Lindley] tells me it was opened in 1918. It is not mentioned in Kelly's Directory of 1932, although the Primitive Methodist, Wesleyan, and United Methodist Churches in Clowne are. Salvation Army (Clowne Corps), Clowne shown on a Google Map. Information last updated on 5 Nov 2014 at 15:39. Please also remember that whilst the above account may suggest that Salvation Army (Clowne Corps) remains open and accessible, this may not remain so. This Report was created 1 Apr 2019 - 08:07:57 BST from information held in the Derbyshire section of the Places of Worship Database. This was last updated on 6 Feb 2019 at 15:49.